We're coming off of a great week at Ignite and there were so many good Yammer sessions. If you missed any of them, we've compiled a list of the sessions that were recorded. From sessions delivered by our very own Yammer product team, to our customers that came to tell their stories first hand, to our expert MVPs and Partners, there is a lot here for you. Grab some popcorn and #bingwatch all of our fantastic Yammer sessions! 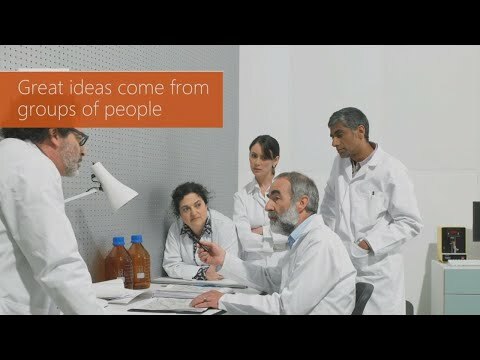 GlaxoSmithKline's (GSK) Yammer network is helping people do more, feel better, live longer! Thanks Steve! Do you happen to know when the "inner loop/outer loop" messaging was first introduced at Ignite? Not necessarily by Yammer. Do you know what session best explains it? It was mentioned everywhere, but I'm trying to find the best example to share with people here. Something simple and succinct. Is there a blog post somewhere I'm missing? @Connie Woo also wrote this blog post that briefly addresses inner/outer loop. Thanks for curating this list Steve! Yammer as a support forum!? Is Yammer available with Office 365 business plans?